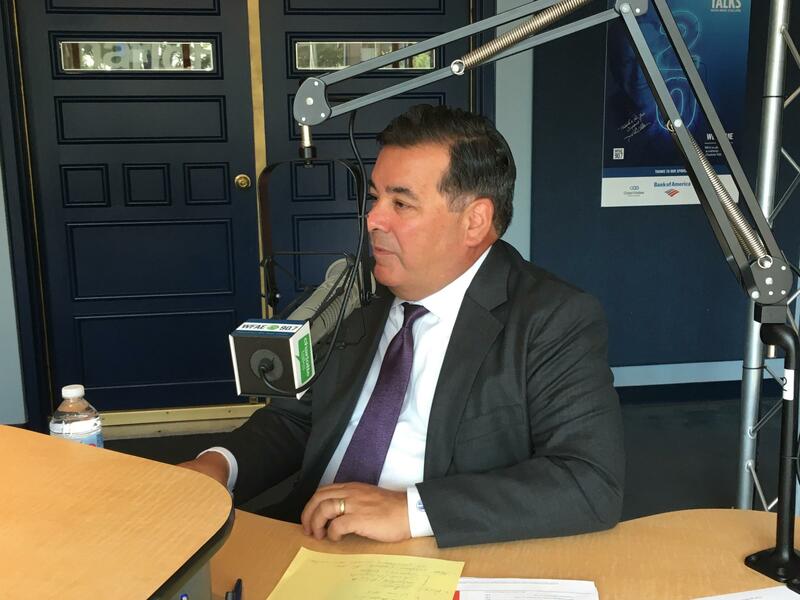 Charlotte-Mecklenburg Schools Superintendent Clayton Wilcox joins Mike Collins to discuss teacher pay raises, school security and equity gaps in the school system — all of which Wilcox wants to address in his new budget proposal. Spring break might be on students' minds, but Dr. Wilcox's attention is on the rite of passage that is budget season. Wilcox last week asked for a 15 percent increase in funding from Mecklenburg County as part of a $1.6 billion spending plan. The additional funds, if approved, would help pay for pay raises for teachers and staff, and additional school security measures. The superintendent's plan also addresses equity gaps, which the school board is also looking at as it updates the district's equity policy for the first time in nearly a decade. On the security front, the district recently introduced a social media campaign in hopes of keeping weapons out of schools, in addition to the random gun screenings that began in January.